A mind map is a diagram or graphic representation visualizing connections between various ideas, concepts or pieces of information. A mind map uses a non-linear graphical layout to represent various tasks, items or concepts which is connected and arranged around a central subject or concept. Mind mapping unlocks the full potential of the brain by employing word, image, number, logic, rhythm, color and spatial awareness to create a powerful graphic technique that will enhance learning and promote clearer thinking. Although the term mind mapping is familiar to many, the technique hasn’t been fully utilized by people. Mind mapping has been proven to offer great help in various aspects of our life especially while making notes and representing a complex piece of information. Mind mapping is essential while making notes from a book, taking notes during meetings and preparing for talks and lectures. All this can be created just using pen and paper. Mind mapping software are also available to generate maps but without basic understanding of how mind mapping works, it isn’t easy to use the software. Mind Mapping Diploma introduces mind mapping as a visualization technique that can be deployed effectively in various spheres of our lives whether it is work or personal. The benefits of visualization techniques over textual representation techniques are clearly summarized in Mind Mapping Diploma. Mind Mapping Diploma reveals why mind mapping works and how it is a brain-friendly technique that allows quick assimilation, effective retention and recalling of information. 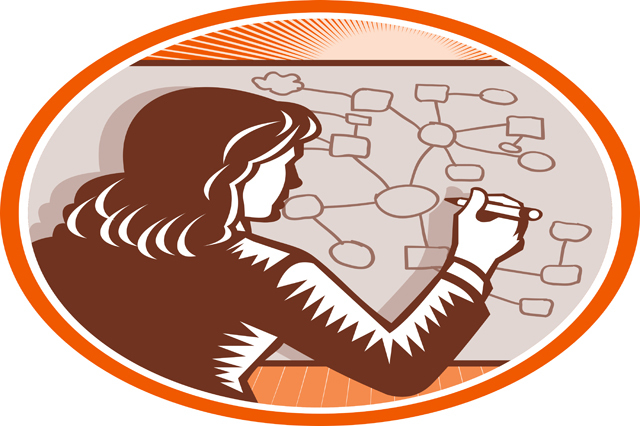 The process of creating a mind map is discussed step-by-step and in detail in Mind Mapping Diploma. The course of Mind Mapping Diploma also makes a plausible comparison between mind mapping using the traditional pen and paper technique and using a computer software. Along with the art of generating a mind map, Mind Mapping Diploma also throws light into different elements of this outstanding graphic technique and how to put them into effective use. Mind Mapping Diploma does not confine the technique of mind mapping with strict rules and compulsory instructions to follow, it lets you experiment and develop your own individual style of mind mapping. Mind Mapping Diploma covers using mind mapping technique for the most common and frequent needs like note-making for lectures and talks and note-making from talks and meetings. The scope of Mind Mapping technique also includes learning and preparing for examinations through mind mapping. Anyone who completes Mind Mapping Diploma will not only be able to generate effective personalized mind maps but also be able to read textual information through the lens of mind mapping so that it can be easily converted to a mind map within a very short period of time. Mind Mapping Diploma is a course designed for everyone who finds that there is need to better organize the information in and around them to utilize it in the most effective manner possible.